At Liston Design Build, we work hard to provide top-tier customer service and elegant design solutions for our clients. It is our firm belief that every client and project deserve our best. As such, we are thrilled to be the recipients of two awards from Houzz: Best of Design 2019 and Best Customer Service 2019. 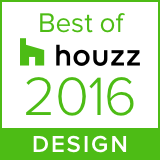 We’re honored that our work was among the most popular in the Houzz community, earning us the Best of Design award. This recognition is made even more special by the fact that we were chosen from among 2.1 million industry professionals. Attaining the Best Customer Service award is also a meaningful accomplishment; we appreciate our clients and are elated to receive consistently glowing reviews. 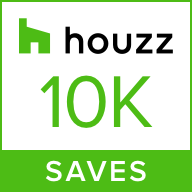 Being recognized for our commitment, passion, and skill by our clients and the Houzz community is very special. We’re grateful for this recognition of our dedication to exceptional design and white glove customer service.